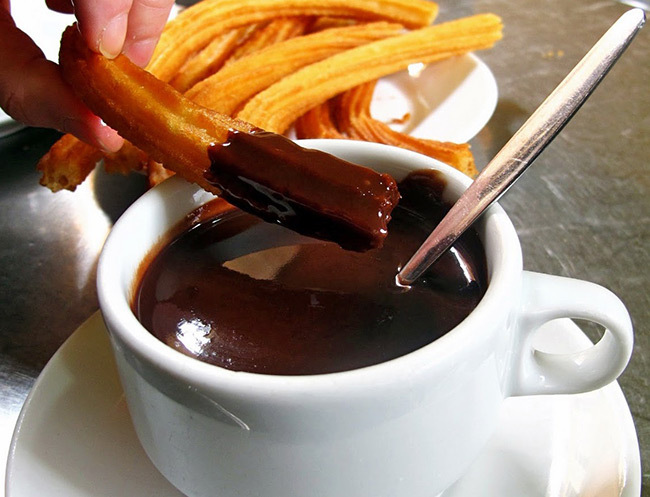 How to make a Traditional Caliente Chocolate De Español. Make delicious Spanish hot chocolate at home and enjoy this rich thick and creamy drink. Combine chocolate and ½ cup milk, sugar and salt, in a medium saucepan over medium heat. Cook and stir until chocolate melts. Now combine cornstarch and ½ cup milk in a small bowl until well blended and set aside. Whisk remaining 3 cups milk into chocolate mixture; heat until hot. Stir in the cornstarch mixture. Bring to a boil. Cook over medium heat for 5 minutes, stirring often. Stir in vanilla and remove from heat. Serve with Churros and enjoy!